As you’ve probably already read (and, if by chance you haven’t, you can catch up here on my 10 days with the G3) I’ve been using the latest flagship from LG as my new daily driver mobile phone. I’ve really got nothing but great things to say about it, and to sum it all up, if you are in the market for a new smartphone, you should give the G3 a long look. Having said that, I wanted to offer up a few final thoughts on the G3, especially for those who are ready to make the plunge and buy a new device soon. I wanted the G3 because it really improved upon a great phone from 2013, the G2 from LG by fixing a few things and changing a few others. Plus, why not get a new smartphone every 6 months, amiright? Anyway, here are 5 additional thoughts to consider about the G3 as part of my review. The size and button configuration are going to be the only major roadblocks: While LG did an amazing (some might say magical) job of putting a 5.5″ QHD display in as small a form factor as they could, this is still a big device. Part of the “magicalness” of LG’s design puts the lock/vol up/vol down buttons on the rear of the phone, which does seem more intuitive, but only after you’ve used it for a while. 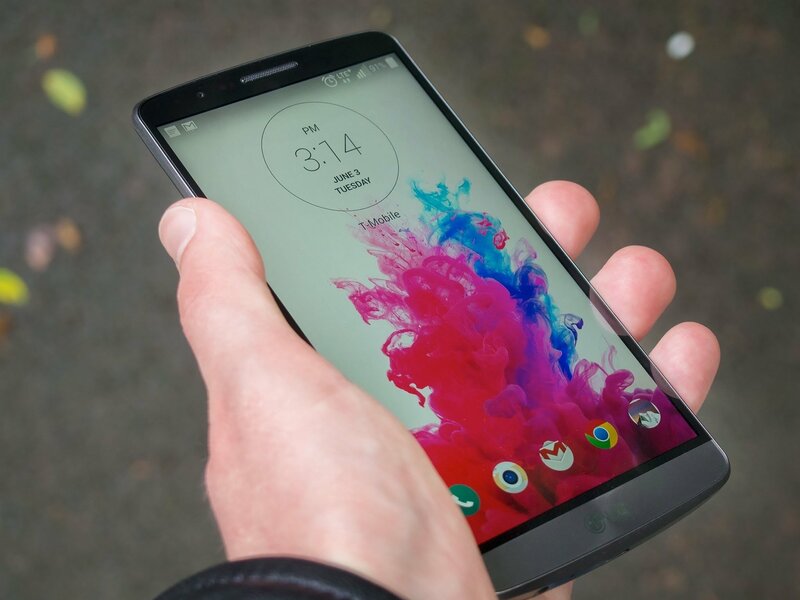 If you are a fan of larger display smartphones, this should be high on your list (along with the soon to be released Galaxy Note 4, due out next month) – its sporting a bigger display than its main rivals the Galaxy S5 (at 5.1″) and the HTC One M8 (at 5″) but its roughly the same footprint as both. The QHD (1440p) display is amazing, but there really isn’t a use for it (for now): The display is one of the best out there in terms of sharpness and clarity – it’s not as bright as an AMOLED screeen (like the Galaxy S5) or some would say as accurate in color reproduction as other 1080p LCD panels (such as the HTC One M8) but it really is near the top in terms of viewing tech. However, there really isn’t much content out there to take advantage of the full power of this display, and probably won’t be for at least until 2015. While QHD is the direction most content production is going, we aren’t quite there just yet. So could you get by with a smartphone with “only” a 1080p display? Sure. LG’s new software setup is almost good enough to let it ride as is (almost): Everyone knows that the Two Tech Geeks are into the tinkering and the modding of just about every little detail of their phones. And on the G2, to remove both the hideous amount of bloatware and remove the almost comical icons, buttons, and other built in systems settings, I flashed a brand new custom ROM and put a new launcher on it as well (I personally prefer Nova Launcher myself) – LG not only listened to their customers issues with their hardware, but with their software as well. The new LG UI is lighter, less comic and more muted/earthtone-y, and features more intuitive and user friendly options. Now, for me, that’s still not enough, and back on the G3 goes Nova Launcher – but for those new to Android or looking to upgrade from an existing phone, I think you’ll find the stock software to be very cool and work in every way that you would expect it to. Laser auto focus on a smartphone sounds like a gimmick – but it really works: I’ve said in my earlier review that the G3 camera was merely “as good” as the G2’s; for the most part, in terms of image quality, I stand by this. But after using the camera on the G3 more and more over the last few weeks I can tell you one thing – its a heck of a lot easier to use than the camera on the G2. The laser auto focus is fast and correct, and LG’s new camera UI literally takes point and shoot to a whole new level. The old saying goes “the best camera is the one you have with you” and the speed and clarity with which the G3 takes photos is a huge plus. Bonus point – the vol down button comes pre-set with a long press (even with the screen off) to launch the camera. This makes capturing those spur of the moment pics that much easier, and consequently, more rewarding. 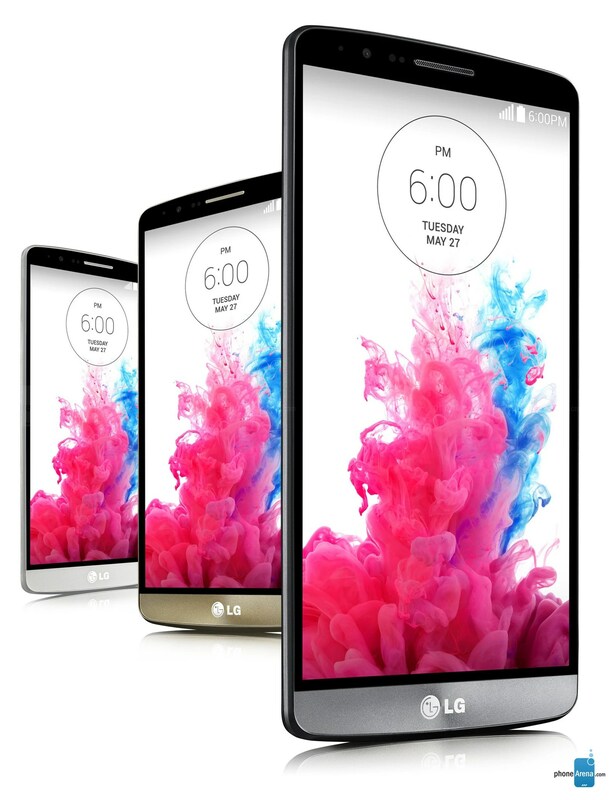 So there you have it folks – my final thoughts on the LG G3. Now, keep in mind as with any time of the year, there are always new phones just about to be released right around the corner – the Galaxy Note 4, the rumored Nexus phone, and even the iPhone 6. So keep that in mind if you are considering the G3 too. But if you have any specific questions or anything else you’d like for me to test or answer, please let me know in the comments section and I’ll do my best to get you what you’re looking for. 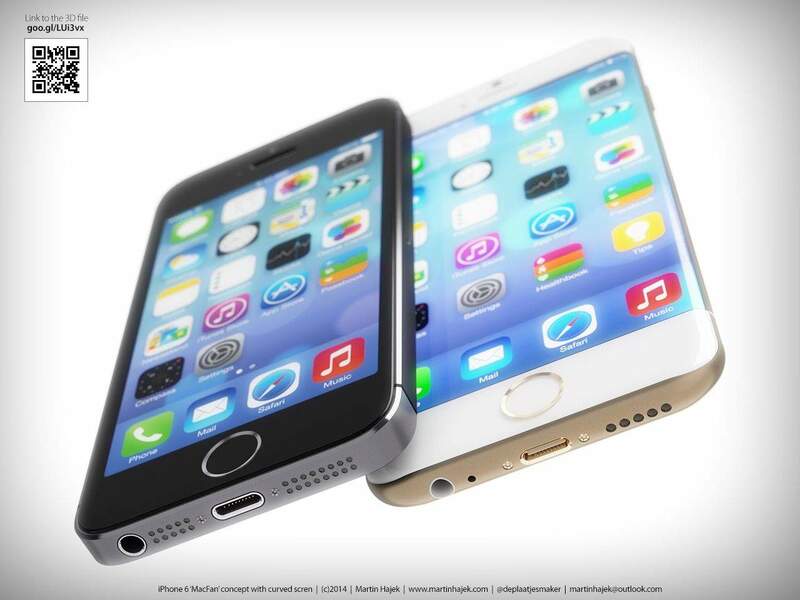 [Rumor] Newest iPhone to feature version with sapphire glass? Apple may be giving an all new meaning to “high end” when they release their new devices in early September. According to a report from the Wall Street Journal, Apple may be releasing a version of the new iPhone 6 with a sapphire glass display. Sapphire crystal is only below diamond in its hardness rating and could be a big step forward in reducing scratches on mobile device screens and the need for screen protectors. The rumor is that only the more expensive versions of the devices (both the 4.7″ and 5.5″ new iPhone) will feature this tech, and it could cause the price of the already pricey device to increase even further. 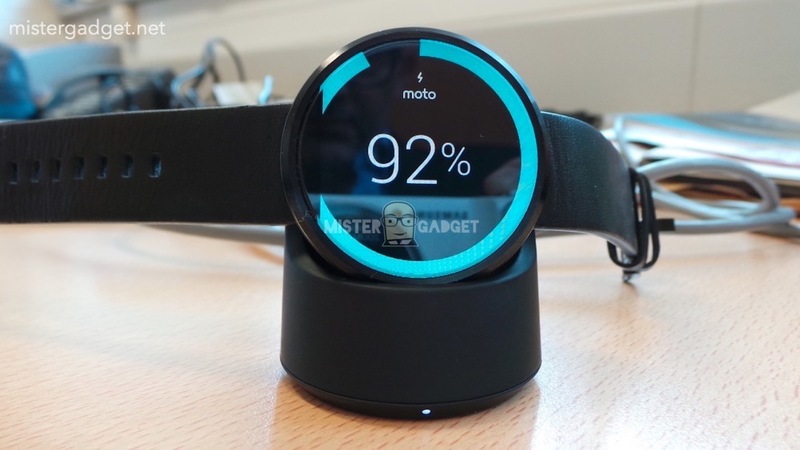 There are both pros and cons to this type of display (check out this great article here for more info) but this would still represent an innovation that has never before been seen by a major hardware manufacturer. As the announcement for the next iPhone should be coming in the next few weeks, more details are sure to come. Is anyone pining away for a larger iPhone? Let us know below in the comments section! Not to be outdone by Samsung’s Note 4 demo date, it appears that Apple has set some time aside in early September to announce the launch of (at least) one version of the next gen iPhone, dubbed “iPhone 6.” The new device (which probably doesn’t look anything like the photo shown) is rumored to sport a larger 4.7″ display and is likely to be only 6mm thick. Check out the full link to the story on PhoneArena.com here. Word is out – invitations to the Samsung Unpacked 2014 event have started to arrive. And at this event, the long awaited successor to the popular Galaxy Note 3 is expected to make its debut. The Note 4 is rumored to have specs “much better than the Galaxy S5″ – which should include the Snapdragon 805 processor and a Quad HD display. In a time where 5.5” displays on mobile devices are growing more commonplace, I’m sure that Samsung will be happy to have theirs hit store shelves. With the G3 just released, and the rumored iPhone 6 release no doubt coming later on this year, could Sammy have picked just the right time to launch their new phablet? Time will tell.